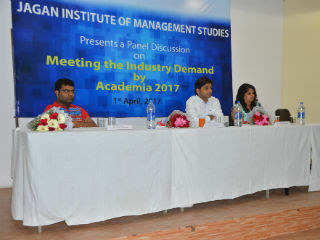 A Panel discussion by MCA Alumni was held on 1st April, 2017,Saturday. 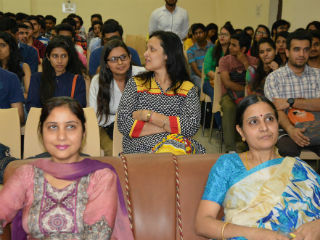 The event was organized by Ms.C.Komalavalli and Dr. Manjot Bhatia. The speakers for the event were: Mr. Puneet Aggarwal from TCS , Mr. Parveen Aggarwal from Media Tek , Ms. Winny Gupta from Microsoft and Mr. Ashutosh Pal from BlackRock .The session started at 11:00 am and ended at 1:00 pm. 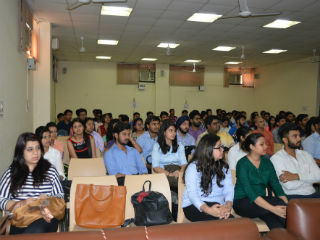 Panel Discussion was an interactive session, about preparation for placements where students cleared all the doubts they had. The panel shared their vast knowledge ,about working in corporate sector, so that the students should have, an idea of how the theoretical process is actually implemented. The panel started with how to start preparing , where to get material from and about various important websites. New and trendy technologies were also discussed by them in the session. 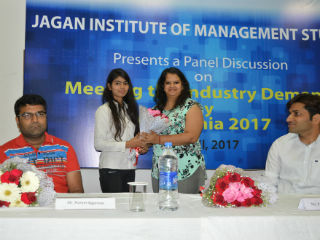 They explained about every minor techniques of technical as well as HR interview.The discussion also helped the students to opt for various career options and was well appreciated by all MCA students.